As Bastian had an experience in swimming at hydro pool, I thought this public pool swimming would be a piece of cake. Turned out I was wrong :D. When he deep into the pool he was uneasy. I reassured him that everything was OK. Still he showed an objection through his face. So I played with him for a little while. I sang while holing him in the water and swung him gently. When he was comfy, I slowly let my self go and violaaa…. Bastian enjoyed the water. I was amazed to see him swimming freely in the pool. He moved his legs and hands without any fear. Sometimes the water splashed onto his face but he didn’t care. He continued swimming and mumbling with his adorable voice. Forgot the surrounding and had so much fun! Bastian swam for about 15 minutes. Quite long for a baby 🙂 He was little bit tired as after the swim he latched on me for almost an hour. But seeing him so happy had made my day! Such a beautiful quality time. 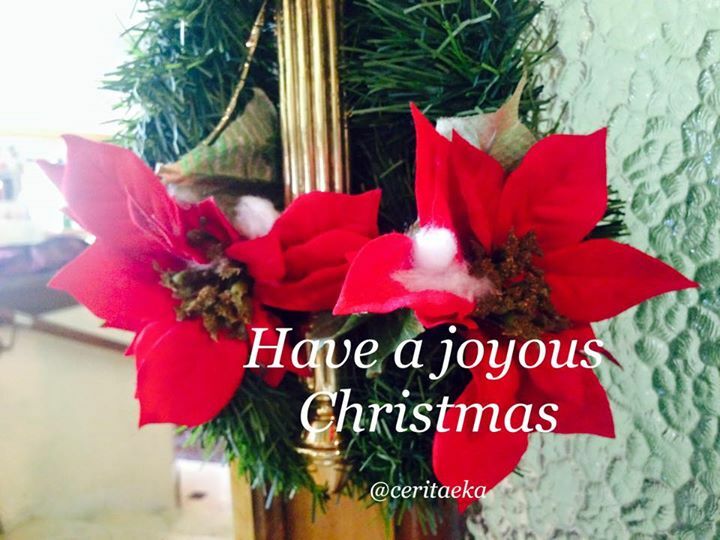 By the way… Have a joyous Christmas everyone! And happy holidays too.